E-cigarettes (also known as electronic cigarettes and electric cigarettes) are the healthier alternative to the traditional cigarette. Electronic cigarettes supply your nicotine needs without producing the harmful cancer causing elements of tobacco cigarettes. Electronic smoking or ‘Vaping’ produces no smoke, just vapour and it dissipates very quickly. It has little or no smell and there is no harmful secondary smoke. Electronic cigarettes are legal to smoke indoors, in pubs, clubs, night clubs, offices etc. E-Cigarettes provide a realistic smoking experience without the dangers which accompany the traditional smoking of tobacco. They can be used as a quitting aid or as a less harmful alternative to smoking by those who do not want to quit. E-Cigarettes work very simply. The tank is filled with the desired strength and flavour of eLiquid. A battery heats a coil when the button is pressed, turning it into vapour. This vapour can then be inhaled through the mouthpiece. This vapour contains none of the harmful ingredients present in tobacco cigarettes, but still delivers a satisfying nicotine hit. 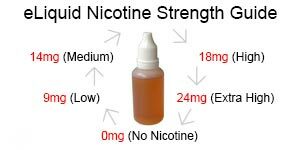 E-Cigarettes can be used as a quitting aid by gradually reducing the nicotine level of the eLiquid used until a 0mg level is reached, then the user can stop ‘vaping’ or continue with the zero level nicotine if so desired. Electronic cigarettes are a great way to quit smoking and many people have been successful in using them to help quit smoking. 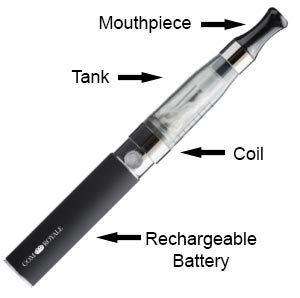 In our shop in Dublin and on our website, we provide only the best electronic cigarettes and nicotine liquids at on the market at the most competitive price. At our ‘Juice Bar’ it is free to try all our eLiquid flavours before deciding which ones you prefer. We also stock replacements parts, batteries, chargers and accessories in our convenient city centre location at 85 Capel Street, Dublin 1.